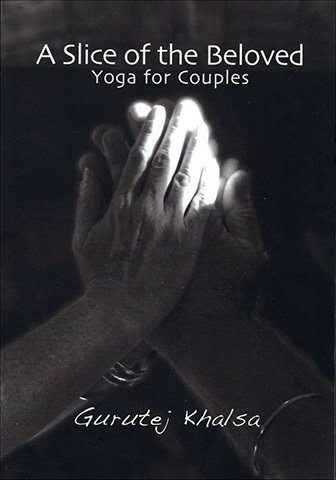 Slice of the Beloved by Gurutej Kaur is about intimate relationships, yet many of these same tools can be applied to other relationships in your life. You will learn that the key to nurturing all relationships is feeding the connection. Do you want to know how to do that? This book will tell you how. Think of it as a treasure hunt - you are the treasure. Use these tools to unearth and discover the real you. Of all the things we hold dearly, the most important are the intimate relationships we share with those whom we love. Throughout our time we strive for connection, compassion, understanding and, ultimately, a bond between hearts and minds. A relationship should be treasured as your life's jewel. This is also a workbook. Go through it at your own pace. Doing something once is great, but really building a relationship with anyone takes time. Steady work will help you emerge so much brighter, more powerful, and capable of loving and being loved. Sounds good? Then make a commitment to incorporate these practices into your life for at least 40 days, preferably 120 days, to create a shiny new you and a shiny new habit.